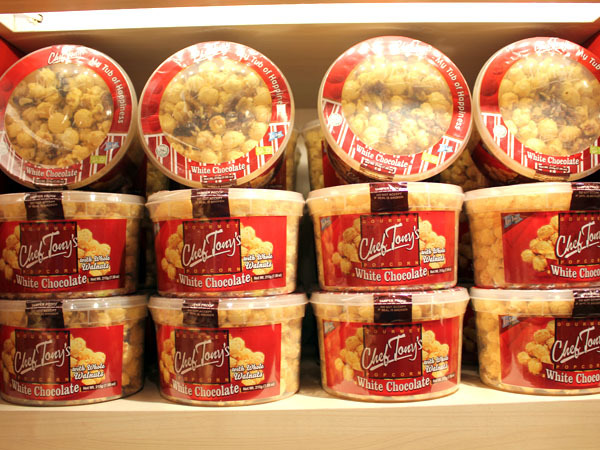 It seems like Singapore has caught on a popcorn fever. And popcorn can is no longer relegated as cinema food, and can be considered a ‘gourmet snack’. Other than the very popular Garrett Popcorn, I was quite excited to find a new popcorn shop at Marina Square. 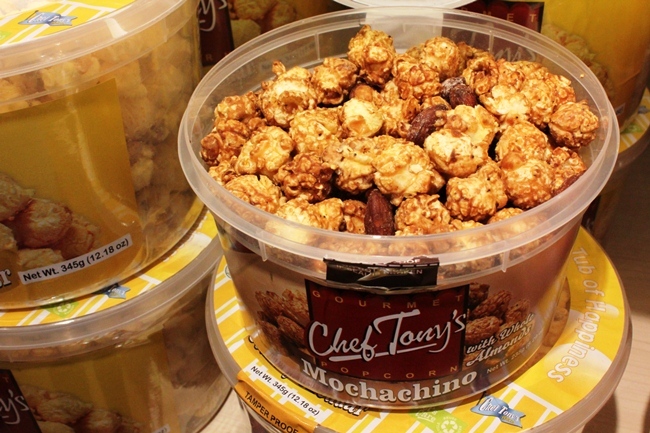 Chef Tony’s which originated from the Philippines will delight popcorn lovers because the entire shop sells only popcorn, with 7 different flavours. Other than the original caramel, the other interesting premium flavours include white chocolate walnut, creamy parmesan, white country cheddar, mochachino with almonds and white chocolate parmesan ($8.00 for small tub, $13.00 for big tub). The white chocolate walnut popcorn was kind of fluff and light, yet crisp. The flavour of the white chocolate is not overly strong, and the walnuts add a pleasant crunch. The best thing was the tub did not contain irritating seeds that go un-popped.